BOSTON, APRIL 9, 2019.....After being dragged into the days-long spat between Gov. 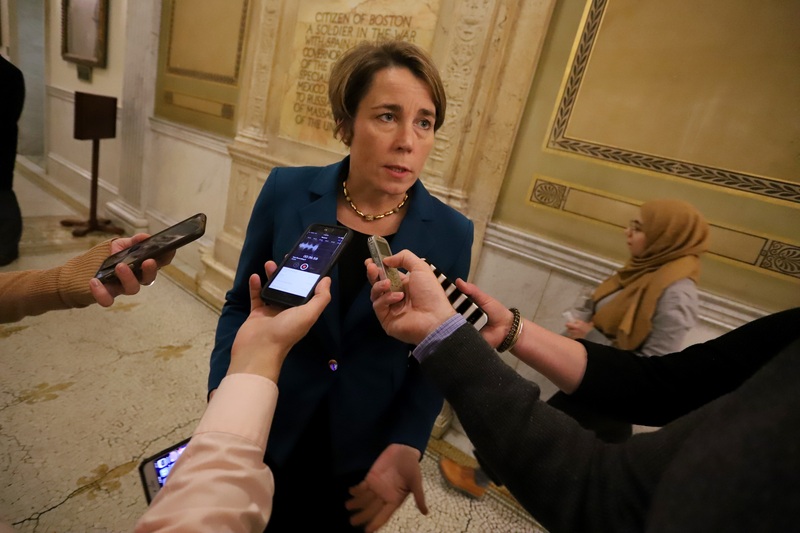 Charlie Baker and Suffolk District Attorney Rachael Rollins, Attorney General Maura Healey said Tuesday that it's up to Rollins who to prosecute in her county and she looks forward to talking with her directly. Healey, who endorsed Rollins in her general election last fall, is one of several prominent state officials eagerly awaiting a meeting with Rollins or her team this week to discuss a March 25 policy memo that sparked a bitter exchange over the weekend between the Baker administration and Rollins. The animosity began late last week when Public Safety Secretary Thomas Turco wrote a letter to Rollins raising concerns with a memo she issued last month outlining new criminal justice policies for her office, including a list of crimes that she no longer wanted to prosecute.